The Original Burger Press from Dexam. 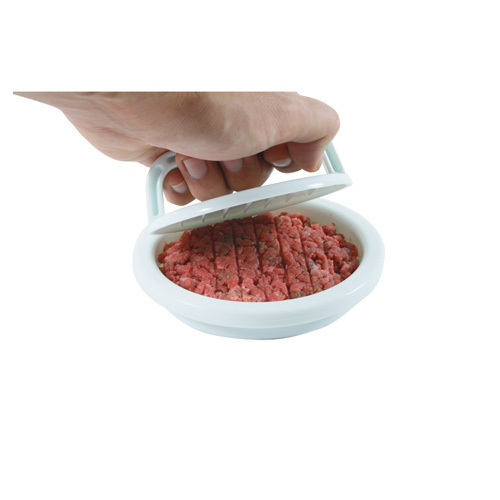 Create delicious home made burgers with the Swift Original Hamburger Press, which has a simple to use design. Pressing your own burgers ensures they hold together better and cook more evenly than hand formed patties. You can enhance your burgers by adding your favourite flavours, and enjoy them safe in the knowledge there's no hidden additives or preservatives. Date First Available: Tuesday 12 March, 2013.